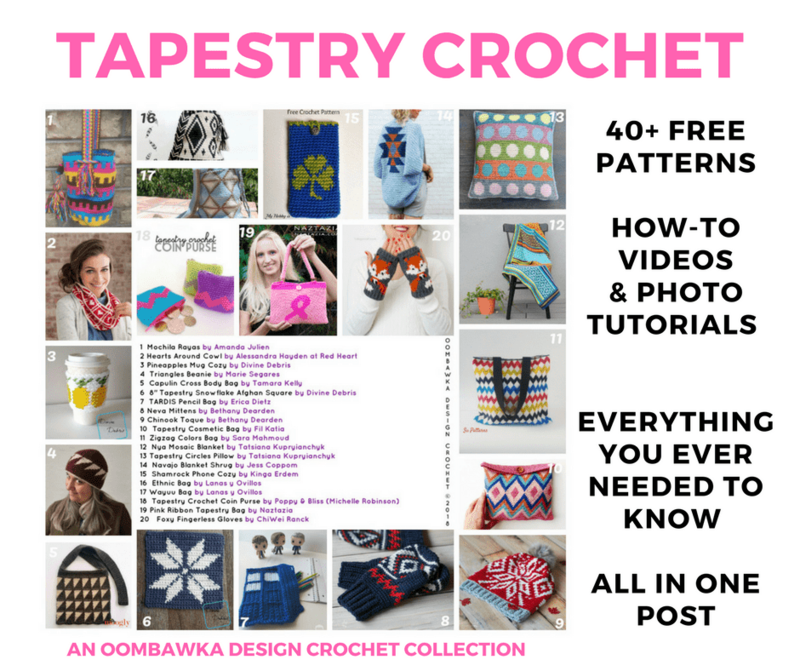 You are here: Home / Free Crochet Patterns / Free Pattern Friday / The BIG Tapestry Crochet Post – Free Patterns, Tutorials and Tools! Something I’ve always wanted to try and I haven’t gotten around to yet is crocheting a Wayuu Mochila Bag (Tapestry Crochet Bag). I thought you might want to try this fantastic technique to create something beautiful and unique this year too so I have gathered a bunch of free patterns that are available online for Tapestry Crochet. Included in this post are more than 40 different free pattern links to projects worked in tapestry crochet. 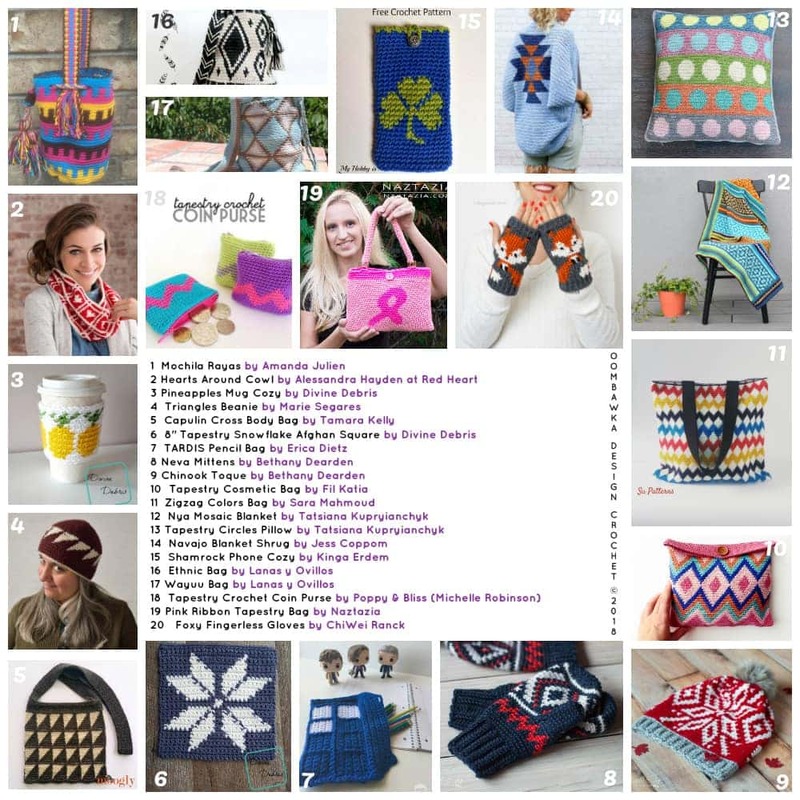 You will find free patterns for small projects like dishcloths, mug cozies, and phone cozies that are perfect for beginner tapestry crocheters, larger projects like tapestry crochet baskets and beautiful tapestry crochet bags and even more complex projects like tapestry crochet slippers! 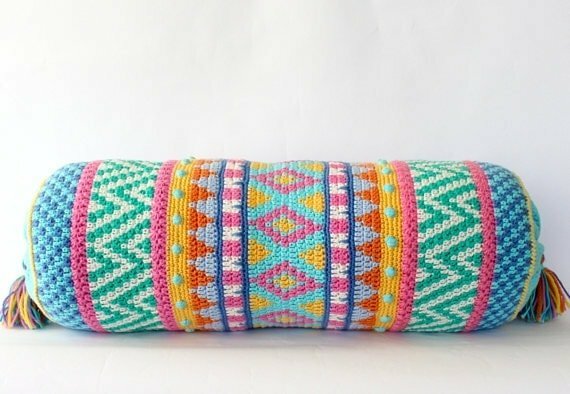 I’ve also linked to some of the very best Tapestry Crochet Tutorials I could find, to get you crocheting like a pro with this new technique. I’ve given you 10 different tutorials to choose from including photo tutorials for tapestry crochet and video tutorials. 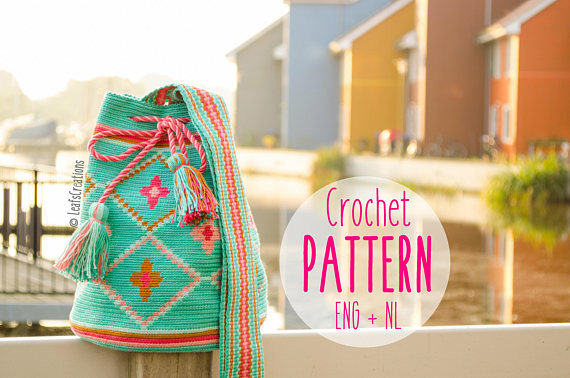 You will find tutorials explaining how to use more than one color of yarn too! For those of you who are ready to make your own graphs and charts, I’ve included links to my favorite FREE printable graph paper sources. If you are ready to make something using free online crochet software instead (to design your charts and graphs) I’ve included my top 5 (mostly free!) crochet charting software sites. 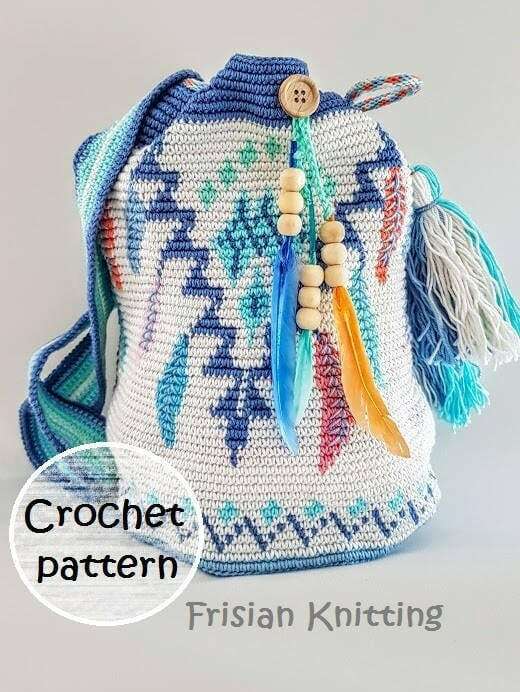 I hope you love this collection 🙂 I’ve filled it with my favorite Tapestry Crochet Patterns, Tutorial Links, Tips, Tricks and Tools – the ones which I have been saving to read and use myself! 4 Graph Paper (5 grids per inch to 16 grids per inch, 18 grids per inch and 20 grids per inch). These tutorials will help you master tapestry crochet. Try a simple coaster first with #1. The next 2 tutorials are available as videos from chabepatterns. They walk you through the basics first in the Tapestry Crochet Getting Started video and then when you watch #3 you will learn how to work with more than 2 colors at a time! 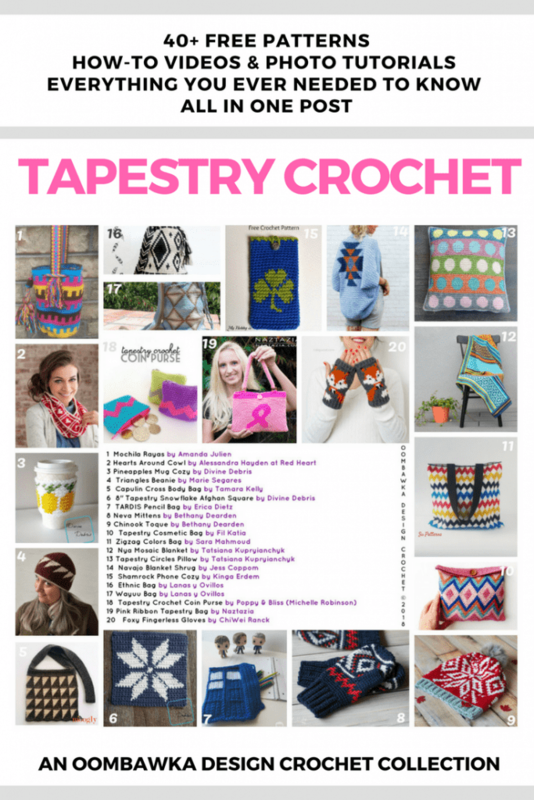 If you love Tapestry Crochet you may want to invest in some of these fabulous books! You can read my reviews for 1-3 at the links below and check out the excerpted pattern! After you’ve practiced you might want to try these! Thanks for reading and saving this post for later!